IMPORTANT: Follow the E3Dv6 Assembly guide to assemble the HotEnd correctly. Images below provided for guidance. 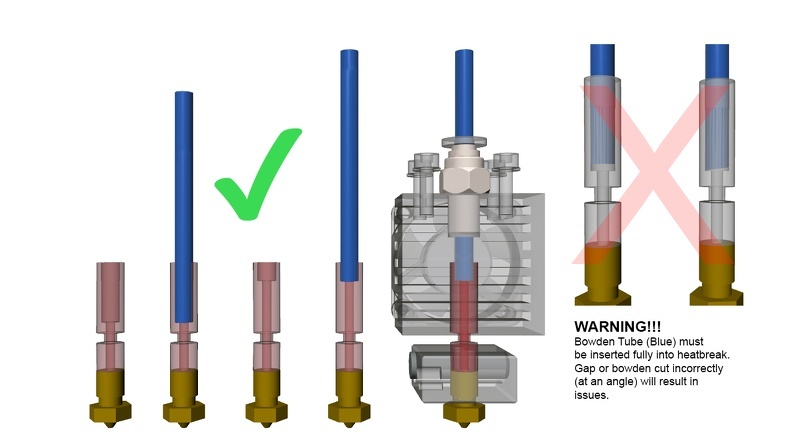 Its important to calibrate the esteps of the printer to help get accurate sized movement and parts. Printing the 20x20x20mm test cube and measuring with calibers is not an accurate method. See this video by ruiraptor on how to adjust esteps using a needle and high precision ruler. Included in the Tevo kit is an SD card. 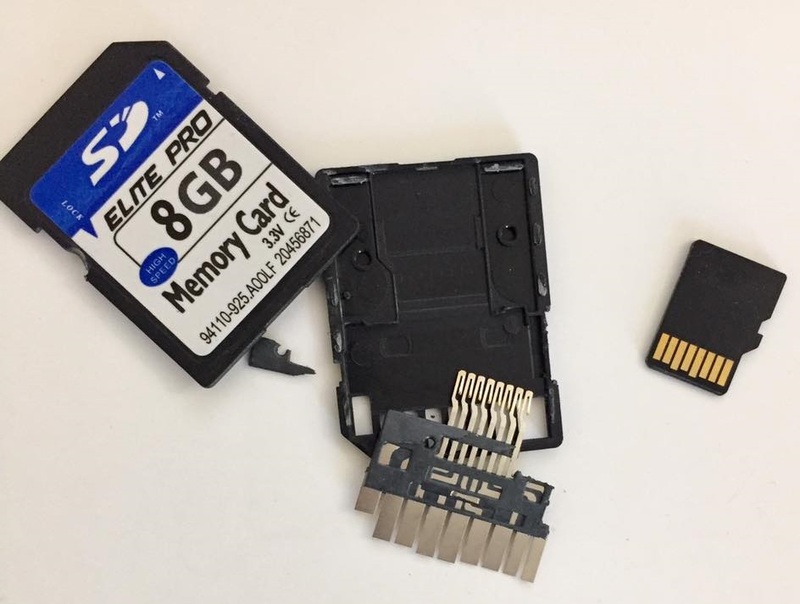 There have been a number of reports of the SD card causing problems with prints. Random moves, prints just stopping etc. The cause is cards which do not have the capacity as shown on them. 8GB capacity cards can actually be as little as 256MB capacity available. So when large files or a number of files are written the file is corrupted. The fake cards are often microSD cards fitted inside a SD card, as shown below. Bore for both is 4.3mm.